The City of Cambridge Emergency Communications Department announced today that the City of Cambridge will be one of the first in the Commonwealth to have the ability to connect 9-1-1 call takers and Uber Passengers through the Uber app. With this integration, 911 call takers will be able to automatically receive potentially life-saving information regarding an Uber ride. Built into the Uber Safety Toolkit, Uber passengers can swipe to call 9-1-1 directly within the app and share their location with Cambridge Emergency Communications Center officials in an emergency. A passenger’s live trip details will be shared until their trip ends and the Uber driver’s vehicle information will be provided. Driver and Vehicle Information: The license plate, make, model and color of the car the caller is traveling in. Location Information: A user’s location is identified with a device-based approach that relies on multiple sources of information available on a device (GPS, WiFi access points, etc). Personal Information: The caller's name and any previously shared Safety Profile information, if a user has already shared details via their with Rave Mobile Safety for Smart911 Safety Profiles. Information could include any medical information, home information, description of pets and vehicles, and emergency contacts. Previously, 9-1-1 call takers had to rely on legacy and often outdated location information, which could be anywhere from 10-500+ meters off and cost precious time during critical emergency situations. Through this new integration with Uber, the 9-1-1 call taking process will be greatly enhanced by receiving information via the Uber application about the caller. “Every second counts in an emergency, and these new updates will help ensure those living, working and visiting Cambridge get help quickly with accurate information if faced with an emergency situation,” said Christina Giacobbe, Director of the Cambridge Emergency Communications Department. “These location updates will further improve responding officers’ situational awareness, help achieve a more accurate description alongside the existing location information and ultimately deliver a faster, more effective response,” said Cambridge Police Commissioner Branville Bard, Jr. Understandably, 911 call-takers frequently receive incomplete or inaccurate location descriptions from callers during an emergency. Public safety answering points (PSAPs) have had to traditionally rely on network-based location information to locate wireless callers. Applications like Uber, on the other hand, locate users with a device-based approach that relies on multiple sources of information available on a device (GPS, WiFi access points, etc). Corroborating location information across multiple sources can increase accuracy, especially in environments where a single source may be compromised. 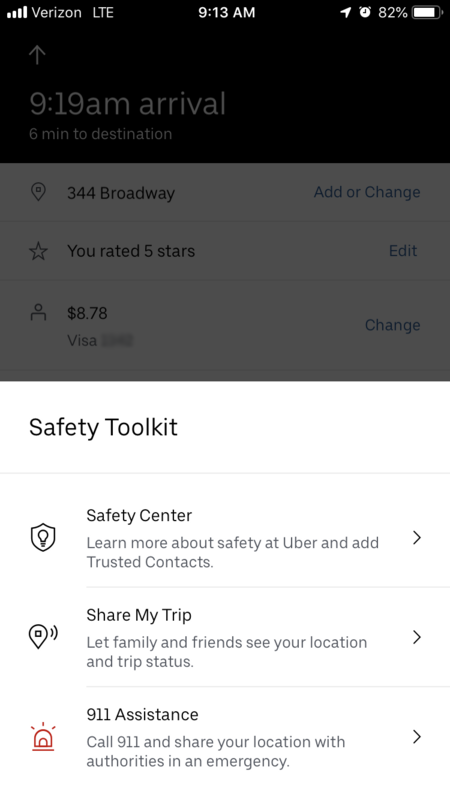 While using the Uber app, this information is available immediately on the device, so that the location will be available to 911 even before the call is received. As a Smart 911 connected City, all Cambridge residents are encouraged to visit https://www.smart911.com/ or download the Smart911 App on the Apple Store or Google Play and complete a FREE online user profile with details such as family photos, medical information or emergency contacts. The information contained within your profile will automatically appear on Cambridge ECC terminals if and when you dial 9-1-1.